Love smores? I know you do! So here’s a quick and easy recipe even kids can do (with an adult guidance of course!). So prepare and indulge with these ooey gooey good, vegan smores. 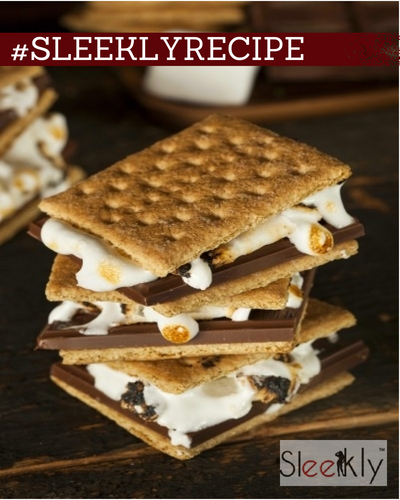 With this delicious smores you’re kicking the dessert up a notch. The graham cracker was invented in 1829 in Bound Brook, New Jersey, by Presbyterian minister Sylvester Graham. The original graham cracker was made with graham flour, a combination of finely-ground unbleached-wheat flour with the wheat bran and germ coarsely-ground and added back in providing flavor. While graham crackers started out as a mild food, unsweetened or mildly sweetened, they are more commonly known as a sugar or honey sweetened baked good that approaches a cookie. Mini mallows and squares of chocolates on the other graham crackers, it’s just simply delicious! Marshmallow is a sugar candy that, in its modern form, typically consists of sugar, whipped to a spongy consistency, molded into small cylindrical pieces, and coated with corn starch. Some marshmallow recipes call for eggs. 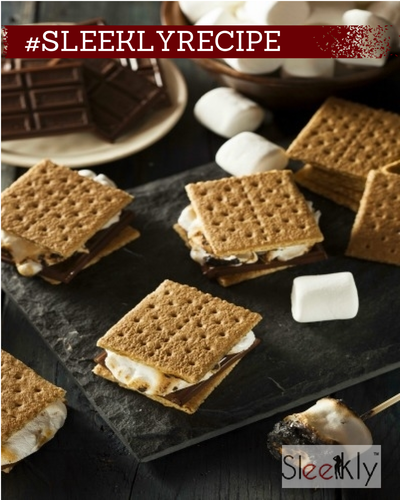 Let’s start making our vegan smores! 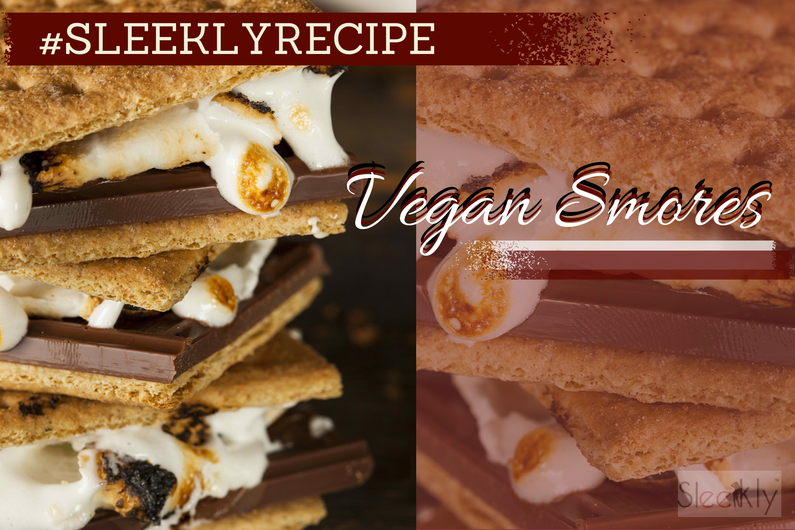 Quick, easy delicious vegan smores recipe. Place the marshmallows on a long metal skewer. 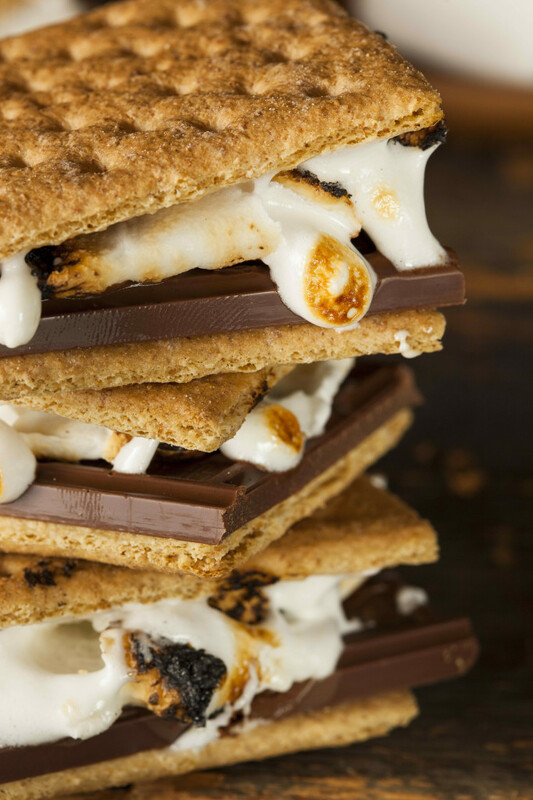 When the marshmallows are toasted well, smush them between two graham crackers and a piece of chocolate. For more melted chocolate, place the smore in the microwave for 8 seconds. This will make it nice and ooey gooey.